The Highway Agency has confirmed that trials to test the charging of moving electric cars will take place on a UK motorway. In 2011 Next Green Car reported on London trials of static wireless electric vehicle (EV) charging systems. There has since been the launch of an inductively charged electric bus service in Milton Keynes that wirelessly charges parked buses overnight. 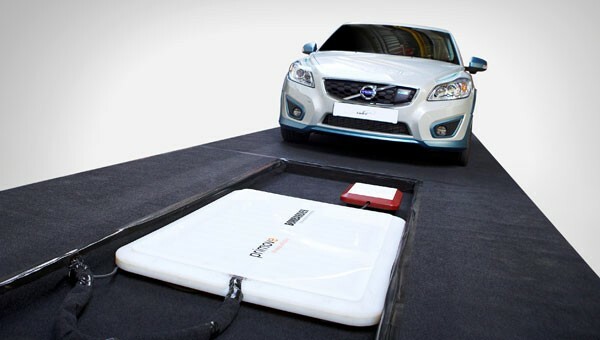 However, now the Highway Agency (HA) has announced plans to investigate the possibility of dynamic wireless charging for EVs. This would occur via an electromagnetic field generated by subsurface modules. There has been extensive research in the US by North Carolina State University that suggests such a system could extend the range of an EV from 60 miles to over 300 miles. Furthermore, it would allow vehicles to house smaller batteries making them lighter and even more efficient. The trial will focus on the following criteria that will determine future adoption: the systems lifecycle in comparison to that of asphalt (typically around 16 years), resistance to vibration and weather, efficiency of charge collection at high speeds and maintenance costs.